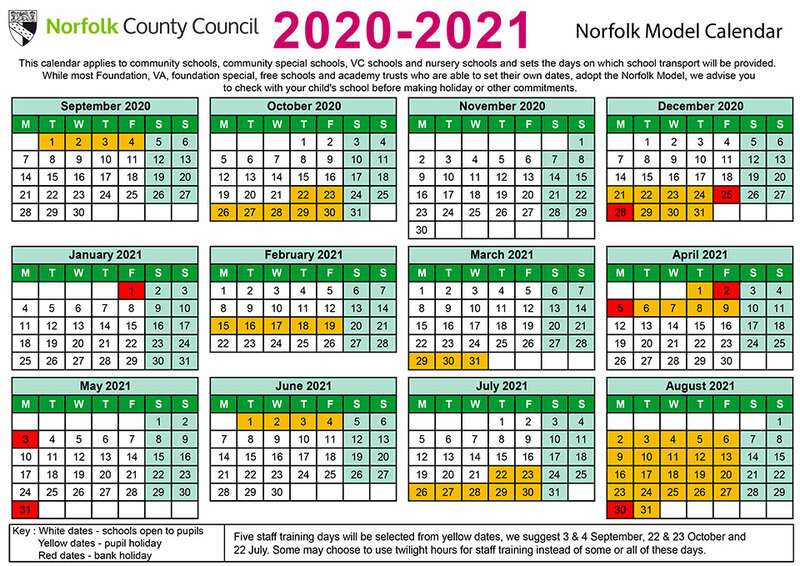 Please note that dates for 2018-2019 are not the same as those of Norfolk County Council. The Bawburgh School will be open on 18th and 19th October 2018. 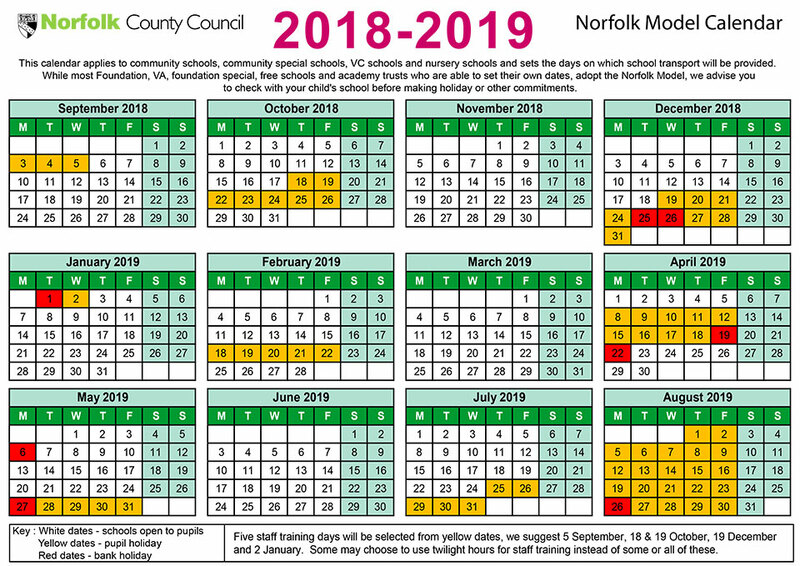 Open on 17th December and closed on 18th December 2018. 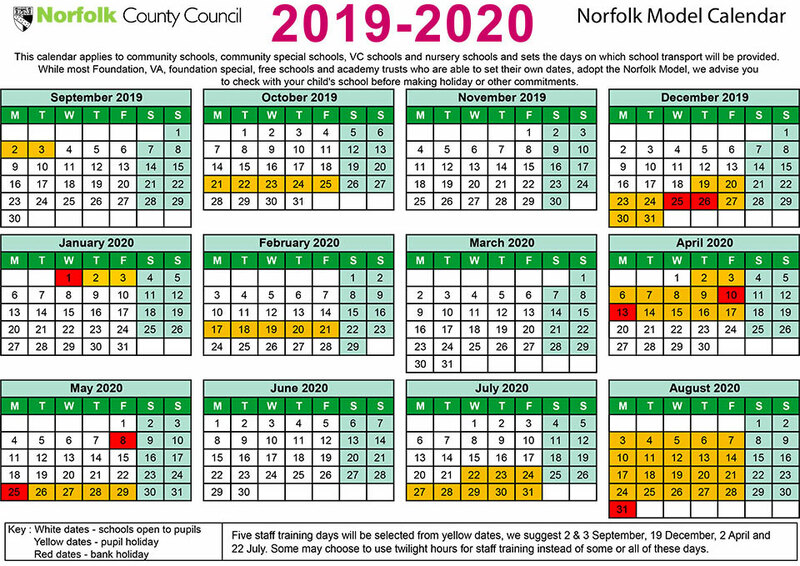 School closed 3rd June 2019.